Quinn Salisbury doesn't think she's cut out for this whole living thing. Even as a young girl she struggled. Just when she thinks she's found a way to leave her violent past behind her, the only thing that's kept her going is ripped away, leaving her damaged and heartbroken. Review by Janeane - ARC received for honest review. 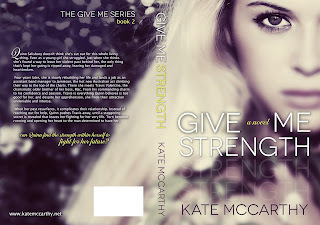 Give Me Strength is book #2 in the "Give Me" series by Kate McCarthy, and follows on from Give Me Love. 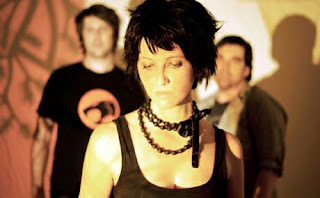 This series plays out around the band Jamieson and their family and friends. The friends - a bunch of hot as hell alphas who know what they want, and don't give up until they get it. 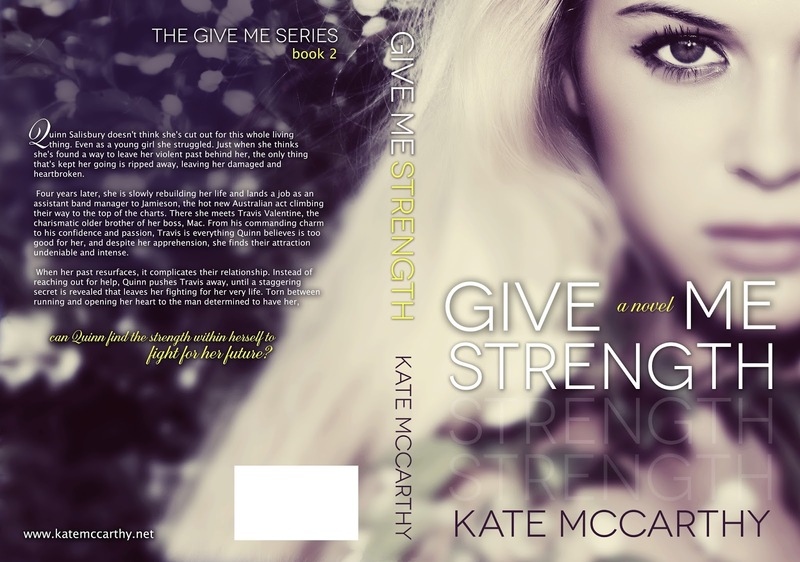 Give Me Strength is the story of Travis and Quinn. We met both characters briefly in Give Me Love - though Quinn is really just a character passing through, and Travis didn't really grab me. Quinn has had a horrible childhood, and this has caused her to shut her heart down to relationships for the past 4 years. After years of being unwanted, she has emotinally shut down. Her best friend Lucy begs her to hit the nightclubs with her one night, and get out of her man-drought. She eyes Travis across the club, and after being instantly attracted she decides to go for it, only to embarrass herself in front of the hottest man she has ever seen. He could have any woman he wants - why would he want her? But he does. The attraction between Quinn and Travis - both phyically and emotionally - is palpable. There is a quiet intensity between them that is like a punch to the chest. Travis is a badass with a heart. I loved his need to protect Quinn. He is what she needs to come out of the shell she has withdrawn into over the years. His trust enveloped her, allowing her to become the best woman she could. He never allowed her to pull away, he always knew what she needed and how he could help. I loved that all the characters are recurring throughout the series, and we get to know a bit more about each of them each book. What I want to know is, where can I find my own badass brigade? Seriously, I would never leave home if I had them living with/next door to me!! I loved the bickering between Mac and Jake. They are so into each other, but denying it so much! I hope we don't have to wait too many books to get a resolution to their story, I don't think I could bare it. Henry, Henry, Henry.... the more I read about Henry the move I love him. He seems to be all flirtatious and fun, but I am betting that still waters run deep with him. There is going to be more to his story than we think. Then there is Casey - swoons!! He drops in and out of the storyline, but he always makes an impact when he does drop in! Always with a smart remark or quick to take up the battle, I think Casey is my favourite of the boys, and am very much looking forward to digging deeper into his story. It is nice to read stories set in Sydney, I spent so much time when I was growing up in the areas written about in the Give Me series. And it does make me laugh, as it seems that my home town of Penrith seems to be a hotspot for mobsters and hostage situations! If you like hot alphas, fiesty females, a bit of suspense and laughter, Give Me Love is a must read. 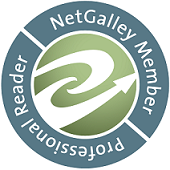 It is hard to believe that this is only Kate McCarthy's second book, she writes with a maturity well beyond that level. Can't wait to read more of this series.